Orange County Restaurant Week will celebrate its eighth year as the region’s most anticipated culinary event and will be held from Sunday, March 5th through Saturday, March 11th. This year’s list of participants will include 100+ OC Restaurants that represent more than and includes a wide variety of options, from casual and family friendly establishments, to upscale and fine dining! During the weeklong event, restaurants will offer special three-course menus, many with a cocktail or signature item at no additional charge. Each restaurant will have the freedom and flexibility to showcase its best offerings by talented chefs who will, no doubt, personalize each menu to reflect their individual culinary style. Participating restaurants will offer prix-fixe menus within the following price categories: lunch for $10, $15 or $20, and dinner for $20, $30, $40, $50, and $80. A limited number of restaurants will offer a special $80 “luxe” menu featuring dinner with wine or cocktail pairings. This event is great for trying out Orange County’s best food and finding your new favorite restaurant. 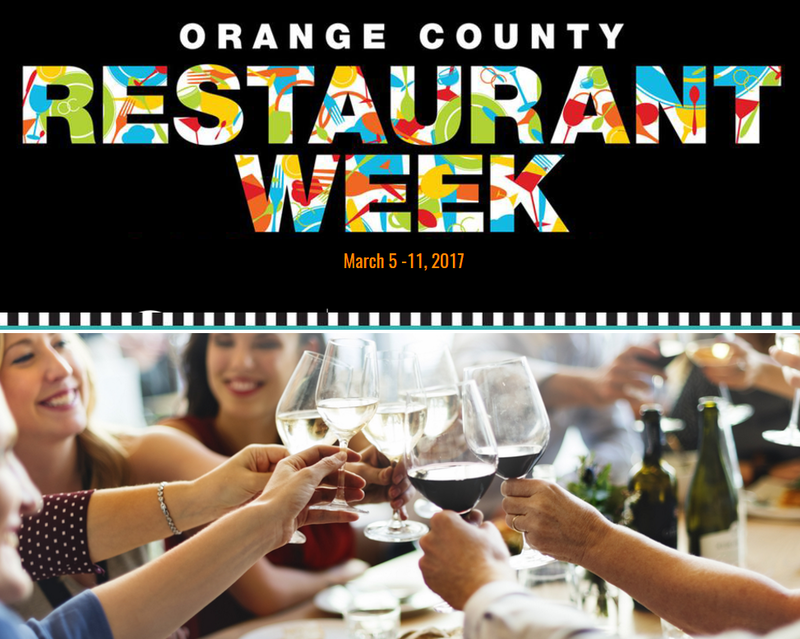 A list of 2017 participating restaurants can be found online at http://www.OCRestaurantWeek.com. Bon Appetite from Sari & Team!